Want to post something else SK related that doesn't fit into an existing category? 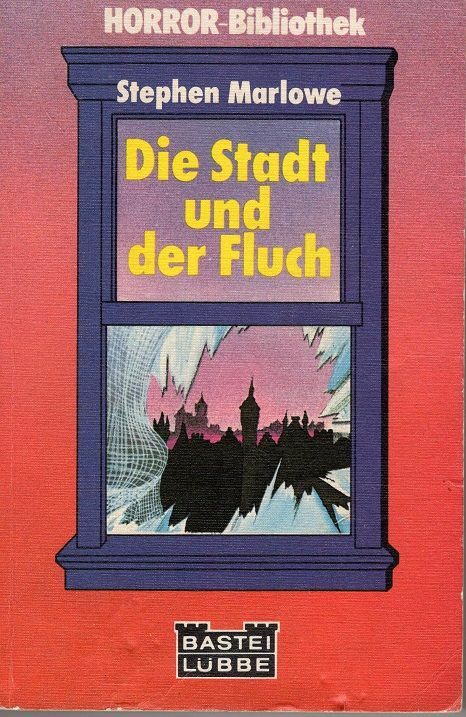 Do it here. 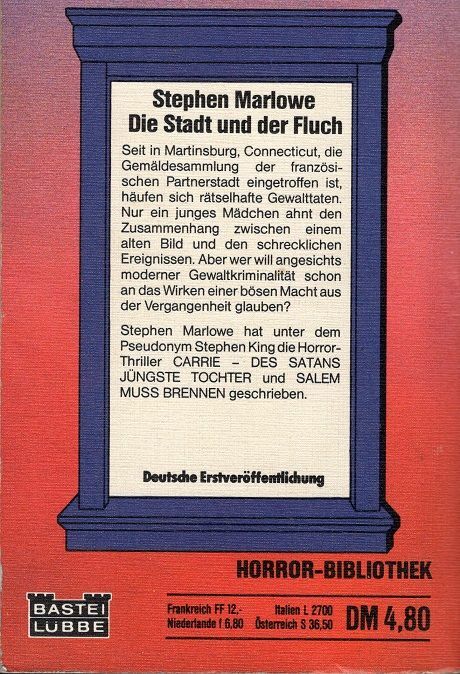 Die Stadt und der Fluch (The City and the Curse) by Stephen Marlowe German title for the book Translation by Stephen Marlowe 1976 with a blurb on the back That Stephen Marlowe has written Carrie & Salem's Lot under the pseudonym Stephen King. I'm pretty amazed at all the unique items you're posting, keep 'em coming!